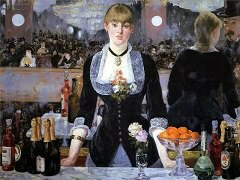 Manet travelled the length and breadth of European search of masterpieces. 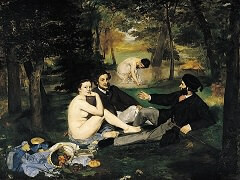 In 1856, he was overwhelmed by the works of Diego Velazquez in Vienna. 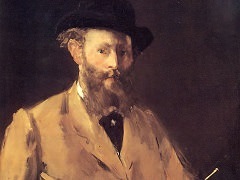 It was to be a decisive influence; the superlative Portraits Philip IV sent to the Vienna court were a revelation to Manet. 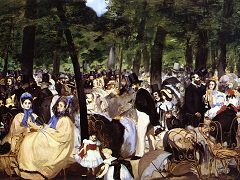 The astounding economy of means that allowed Velazquez to obtain great intensity from very few tones - was a lesson that Manet took to heart: the greatest colourists, he realised were sparing in their use of colour. 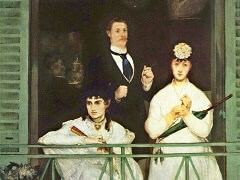 In The Old Musician Manet has painted characters from this area he called "a picturesque slum." Most are real individuals. 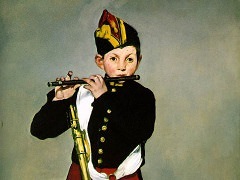 The seated musician is Jean Lagrène, leader of a local gypsy band who earned his living as an organ grinder and artist's model. The man in the top hat is Colardet, a rag-picker and ironmonger. At the right a man named Guéroult is cast as the "wandering Jew," the prototypical outsider. In their poses and dress, several figures recall those of Diego Velázquez or the peasants painted by French seventeenth-century artist Louis Le Nain, whose works Manet would also have seen during his studies in the Louvre. Impassive and silent, these people from the margins of Parisian life are restricted to the narrow plane of the foreground. Presented with neutral detachment, they do not interact, appearing equally unconnected to each other and the vague, undefined setting they inhabit. 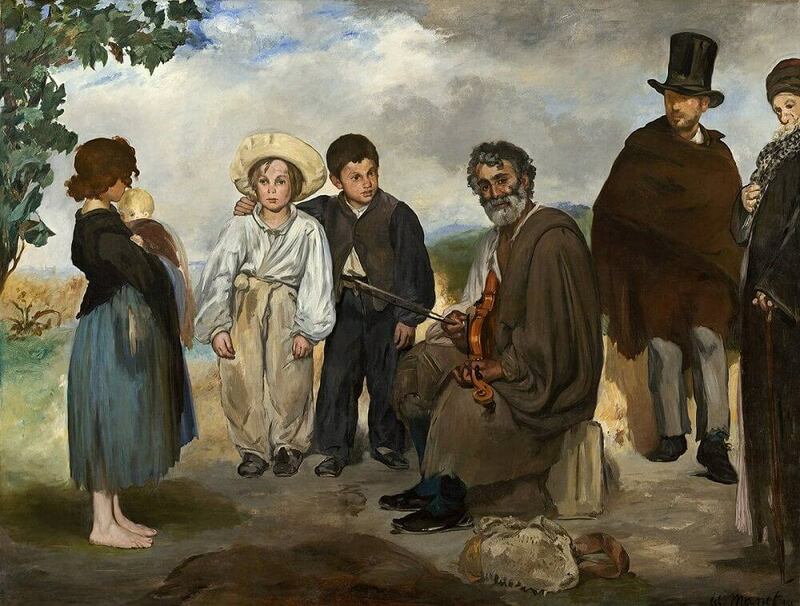 The urchin and rag picker look toward the seated musician, but he is unaware, focused instead on the viewer outside the picture. 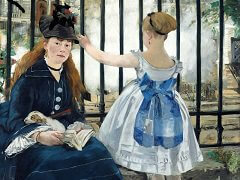 The emotional blankness of Manet's painting felt "modern" to contemporary viewers.